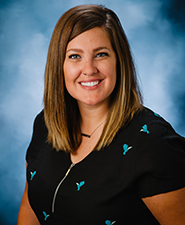 Erin Barsema serves the University of Dubuque as Assistant Medical Coordinator and Assistant Athletic Trainer. Barsema is a 2008 graduate of Clarke University with a Bachelor of Science degree in Athletic Training. 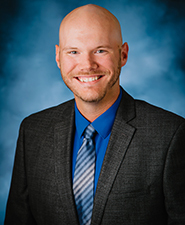 In addition, Barsema is a Clinical Faculty member for the Clarke University Athletic Training Education Program and is a member of the National Athletic Trainers Association (NATA) as well as the Mid-America Athletic Trainers' Association (MAATA) and the Iowa Athletic Trainers Society. The Pittsville, Wis. native currently resides in La Motte, Iowa with husband Mike Barsema (Captain at Envoy Air), Chase (9), Paige (6), Blain (4) and Ethan (2). Matlyn Zimmerman joined the University of Dubuque as an Assistant Athletic Trainer beginning for the 2016-17 season. 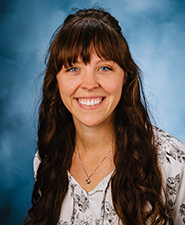 Zimmerman graduated from the The College of St. Scholastica (Minn.) in 2014 with a Master’s degree in Athletic Training, and prior to that earned her Bachelor’s degree in Human Biology from the University of Wisconsin-Green Bay in 2012. 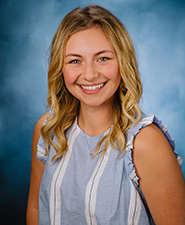 In 2014-2015, Zimmerman was an intern for athletic training for the Division II Embry-Riddle Aeronautical University, where she worked with the Cross- Country, Women's basketball, and Track and Field teams. 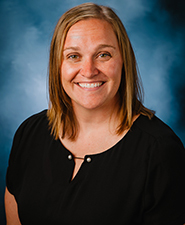 In 2015-2016, Zimmerman became the Assistant Athletic Trainer at Division II Adams State University in Alamosa, CO. Zimmerman was responsible for the nationally ranked cross country and track and field programs, while teaching Prevention and Care classes at the university. Zimmerman is certified in Athletic Training (ACT), is a Licensed Athletic Trainer (LAT), has certification as a First Responder, certification in Graston Technique, and is a member of the National Athletic Trainers Association (NATA).